Fall is here! 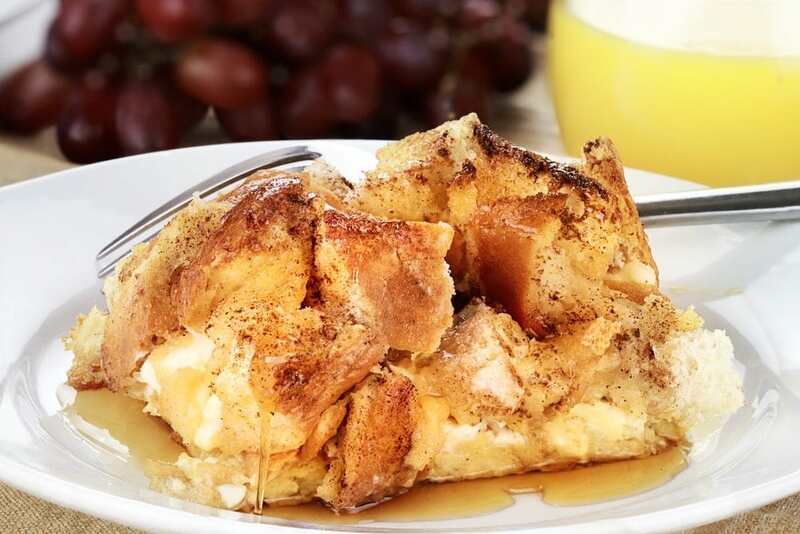 The first thing I’m doing is making this delicious & healthy pumpkin pie french toast recipe! 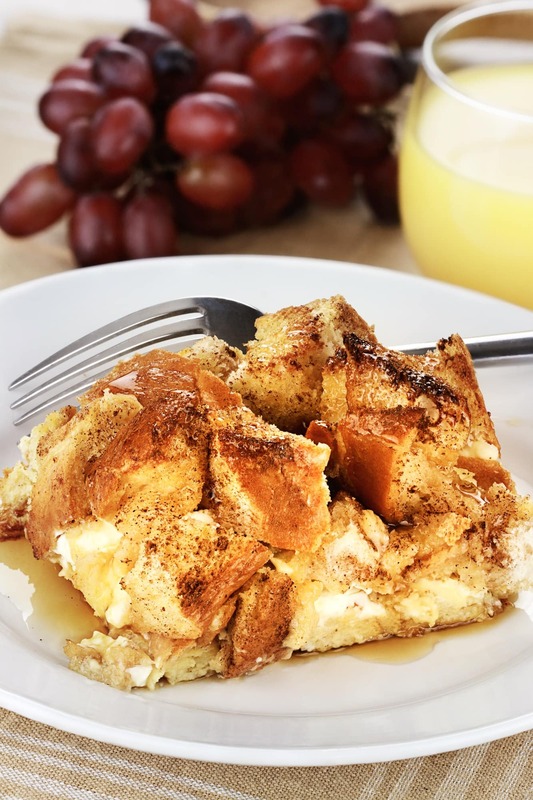 Yes, you can still fit french toast in to a clean eating diet! I seriously wait all year for this moment! I know I can make it whenever, but I try to resist to make it that much more special! 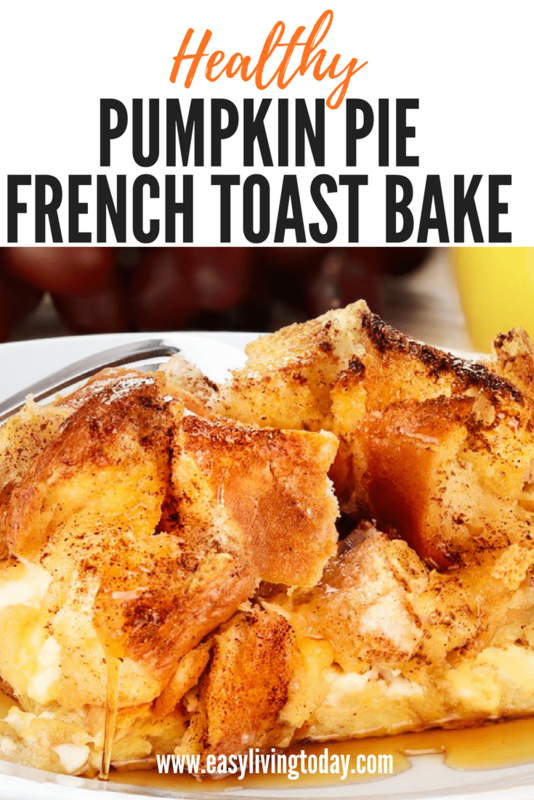 This is one of my favorite pumpkin recipes and also one of my favorite breakfast recipes. 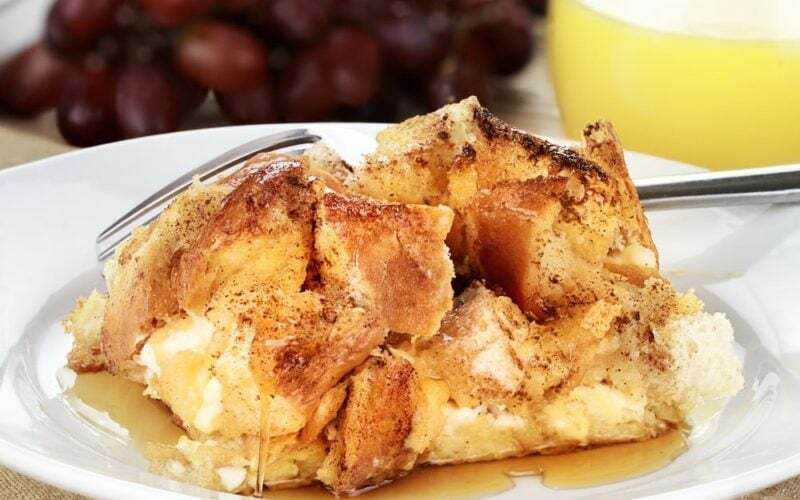 Coombs Maple Syrup, Organic, Grade A When eating healthy and clean breakfast foods, it’s important to not ruin it by topping it with a super sugary and processed syrup. 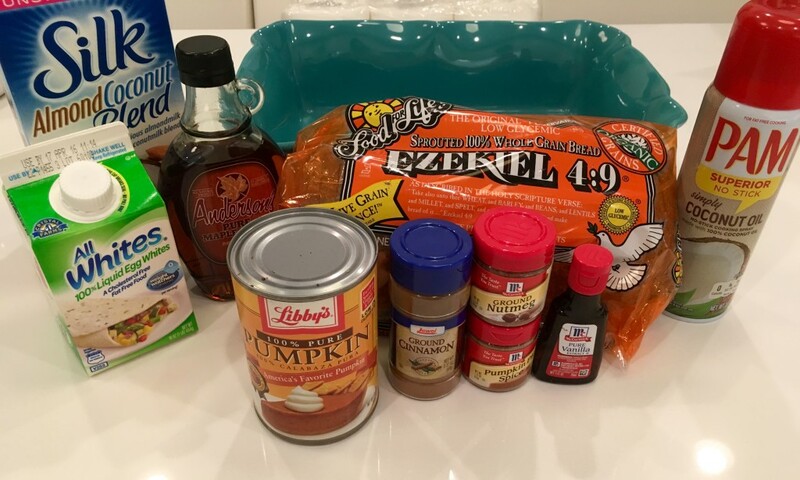 You want to use 100% pure, organic maple syrup for any clean eating recipe. The only ingredient should literally be “organic maple syrup.” If it has more than that listed, don’t buy it. 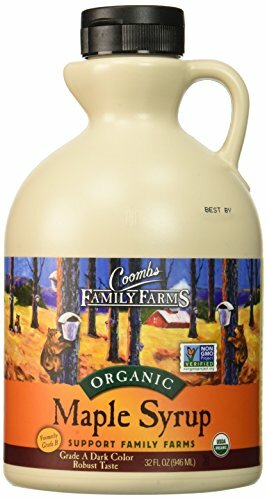 This Coombs Organic Maple Syrup is the best one out there and tastes great. A little goes a very long way, so don’t overdo it. It tastes great as a topping and is also great for cooking baked goods. It will last you a long time as well. Preferred sweetener to taste, I use a little raw brown sugar. Spray or rub 8×8 glass baking dish with coconut oil and add all bread cubes in an even layer. 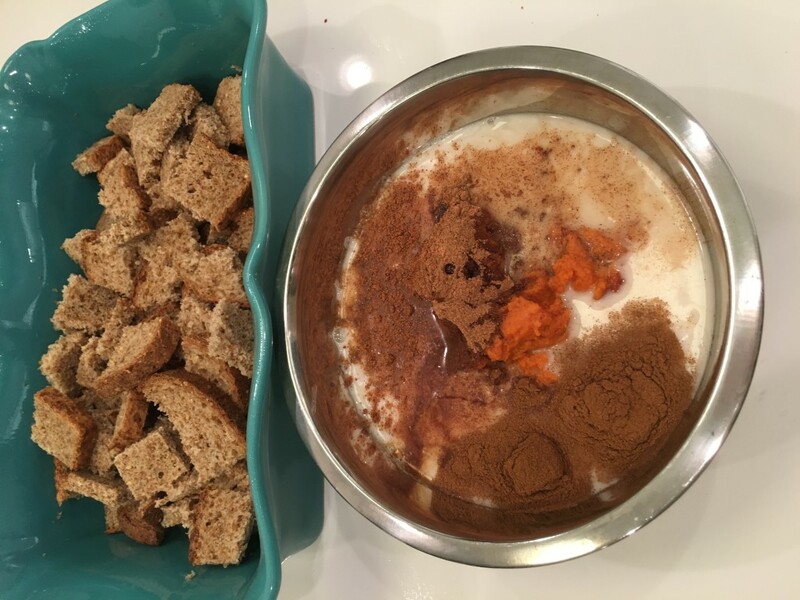 In a large bowl whisk eggs, almond milk, pure pumpkin and all spices. 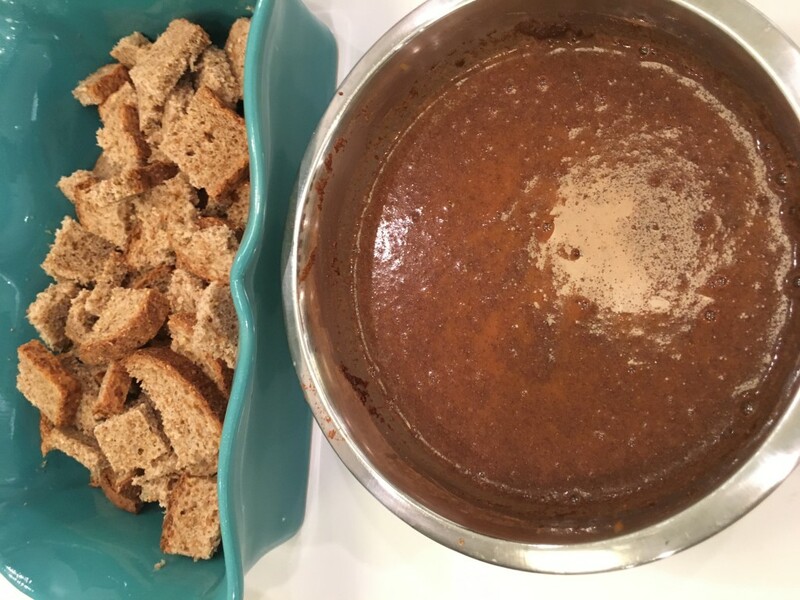 Mush it with your hands until all of the bread is covered with the mixture. Cover dish with plastic wrap and refrigerate 4-8 hours. Uncover and sprinkle with nutmeg for extra flavor and garnish. Bake for 45 minutes or until fully golden and knife comes out clean. Browse more clean eating recipes by clicking here. 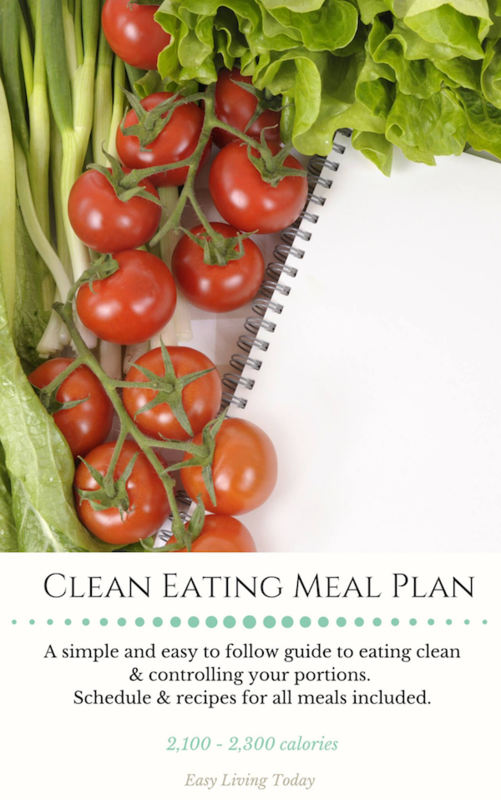 You can also get a full 21 Day Clean Eating Meal Plan (21 Day Fix approved) by clicking here!